If you follow me on Instagram (@ojolly) or Facebook (OJollyCraftingFashion), you may have caught glimpses of the newest fabric that's now officially in the shop. I'm very pleased to introduce Saint Cloud wool sweater knit. 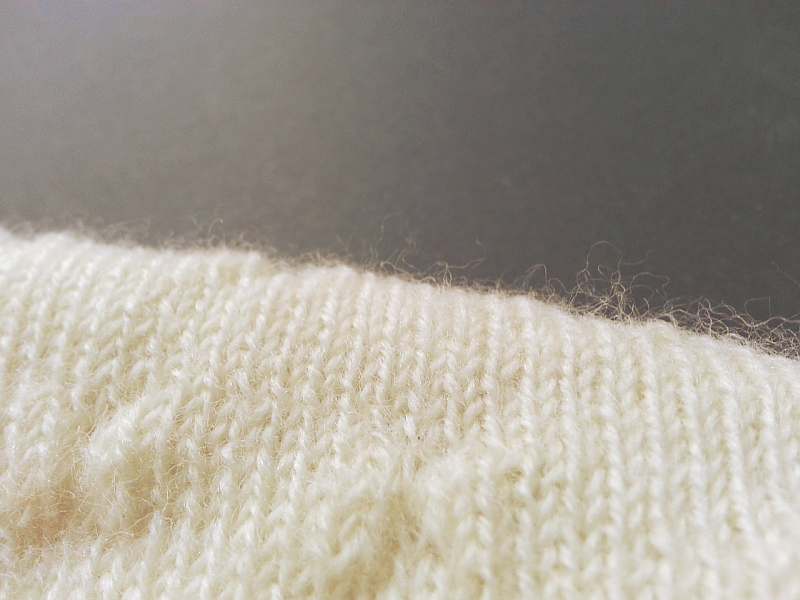 Unlike all the other wool knits I've developed for the shop so far, the yarn used to make this fabric was woolen-spun. (In this case "woolen" refers to the spinning process, not the fiber content.) Fabrics made with woolen-spun yarns often have a softer appearance than fabrics made from the denser and smoother, worsted-spun yarns. (And in this case "worsted" refers to the spinning process and not the yarn thickness. Confusing, yes?) Because the fluffier, woolen-spun fibers tend to trap more air, these lighter weight fabrics are usually warmer than their worsted-spun counterparts. In order to allow the beautiful, lofty fibers to bloom, Saint Cloud has been through a natural washing process. You can see the "halo" (fluffy fibers) in the close up pic below. But how will it sew? Let's face it. Some sweater knits behave more nicely than others. Being single knit and not particularly bulky for a sweater knit, Saint Cloud is easy to cut and sew. If you happen to be a sewer who fears cutting into sweater knits, fear not. The fullness of this fabric means the yarns are not slippery and the fabric doesn't easily run. Yes, I've sewn Saint Cloud already! Couldn't wait. I made a very simple sweater that I'm very pleased with. It was quick and easy and my very first minimum waste sweater, too. I promise to post a picture soon. Saint Cloud sweater knit fabric is available here.